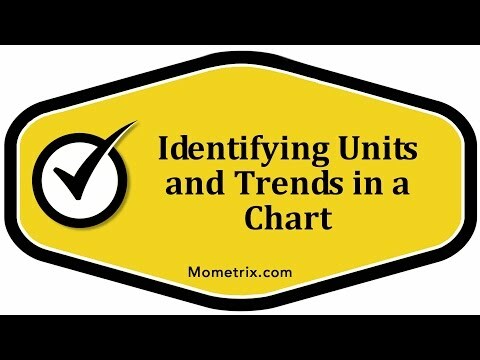 As you study charts, be sure to note the units that are being used. That’s extremely important in science, because the unit of measure means everything. If you forget to note the units that are being used then your answer can mean something entirely different, because depending on the units a very large number may express a large quantity or a very small quantity. In fact, you may want to spend a little bit of time learning which units of measure apply to which physical characteristics, so that you’ll immediately know what is being measured when you look at a table of data. For example, you should know that if you see this symbol right here it stands for kilogram, which means we must be measuring mass. Or if you see a capital L, you should know that it stands for liter, which means we’re measuring volume. In addition to having a good understanding of units, you should also practice identifying trends and patterns in various charts and tables. By studying a bar chart, for instance, you should be able to note the trend and the quantity of a given variable over time. Right here, we don’t know exactly what we’re measuring but that’s not important, you should be able to look at this bar graph and see a trend here. After looking at it for a couple of moments, you should be able to notice that every other year the quantity rises. See here, in 1993 the quantity rose from the previous year, then it remained the same the next year, and then the next year it rose in 1995, and then again two years later it rose again. We go two years down the road once more, and we find that the quantity rises again. That’s a trend here in this bar graph. You should be very good at looking at different types of graphs and immediately noticing trends.